Make Instant Pot Indian Paneer Soft Cheese in just a few minutes. Great for use in a variety of vegetarian dishes as a source of protein. Well guess what? You can make Paneer in your Instant Pot, and under pressure at that. The beauty of that of course, is no baby-siting that boiling milk that’s just waiting sneakily for you to get distracted so it can go burn itself, leaving the whole house smelling of burned milk forever. If only you knew how often that has happened to me. It’s pitiful. Okay I have a confession. When I started out trying to make the paneer, I started like any sensible person would, on the Yogurt mode. Never mind that I never boil milk for making yogurt, I was sure that this way would not burn the half and half I was going to use. To get the most paneer out of your milk, you really need to stir well and boil so that the milk separates properly and completely. Clearly if it heats up well and boils, that process is hastened. So logically, it made sense that pressure cooking would work. I just wasn’t sure if you could make paneer under pressure without burning the half and half or milk. And of course as the pictures show, you can indeed. Now here’s an important note. Please do not use skim or 2% milk. Use either whole milk, half and half, or cream. I use half and half and it is a good in-between from regular doodh (milk) paneer and malai (cream) paneer. Cook the milk and vinegar under LOW pressure for 4 minutes and allow the pressure to release naturally for 10 minutes. Release remaining pressure. You can certainly drain and compress the paneer without fancy schmancy gadgets, but I happen to like schmancy gadgets so I got myself this handy little tofu maker and it was so cute and adorable! 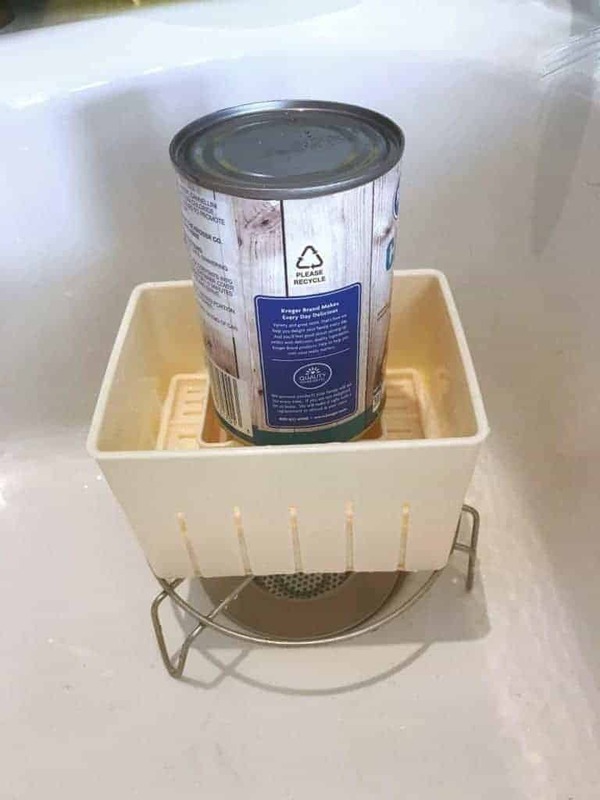 I put it on a trivet in the sink and placed a can of beans on it to help it drain. You can use a cheesecloth or a coffee filter in a strainer or colander, and place a weight on it as I did. Once it’s drained, cut it into cubes and use for Palak Paneer, or use the cubes in your leftover Butter Chicken Sauce, or if you’re vegetarian, in your Butter Soy Curls sauce. You can also make a nice Paneer Korma by using it in the Chicken Korma sauce, and if that weren’t enough, there’s also a lovely Paneer Biryani recipe for you as well as a Paneer and peas recipe. Here’s that link once again to the Tofu Maker that I used to make Paneer instead. Pour half and half and vinegar into the Instant pot and cook at low pressure for 4 minutes. Allow the pressure to release naturally for 10 minutes. Release remaining pressure. When you open the pot, the milk will have separated into curds and a watery whey. Stir this well. Pour the mixture through cheesecloth (saving the whey for other uses). 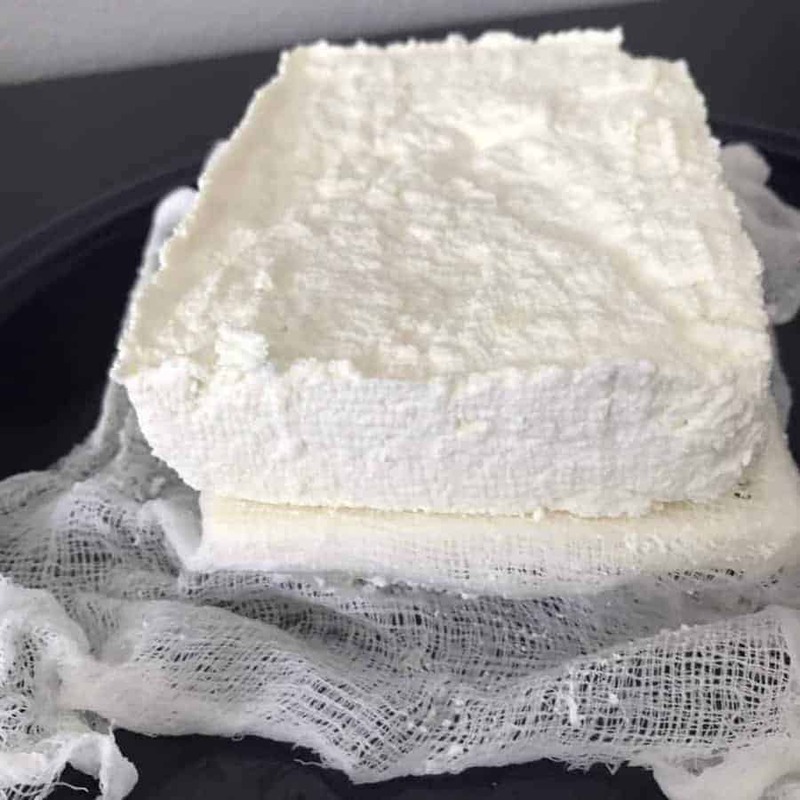 Gather up the cheesecloth and put a heavy weight on it to let the whey drain and for the paneer to form a cohesive block or ball. I used this mold to form a nice square block and weighted it down with a can of beans to help the whey drain. I am not sure how to account for the whey that is drained so I won't provide nutritional information for this recipe. Suffice it to say it is high protein and low carb. I used two large can and pressed it for several hours. Should I maybe use a kettlebell or some other very heavy weight? And press for a longer time like 24 – 48 hours? Your recipe doesn’t say how long to press so I just guessed. 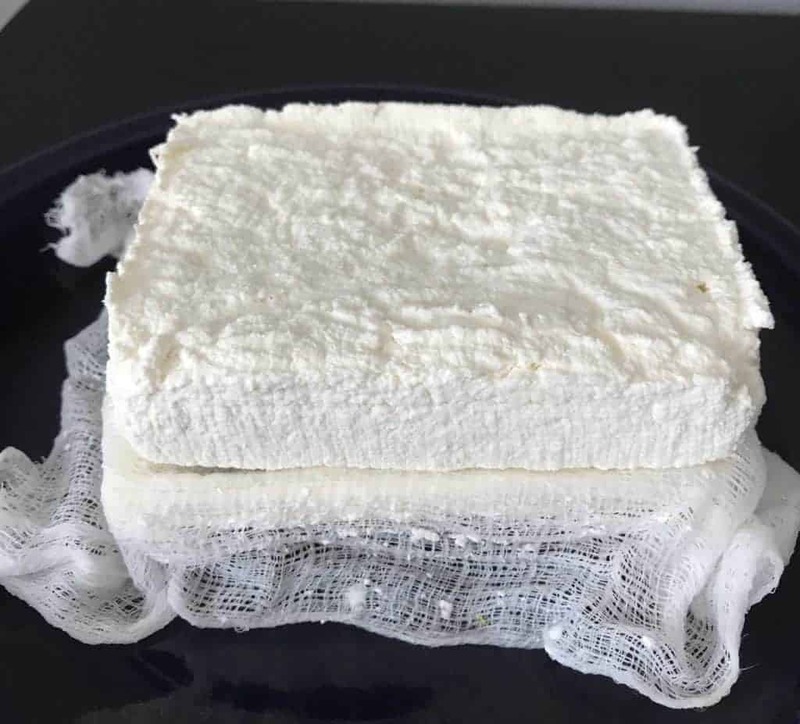 Some other recipes I’ve seen for making paneer, ricotta, and cottage cheese stress that you must not use milk that has been ultra pasteurized with heat (UHT) or the curds will not form properly. Perhaps this is why some people are having trouble with crumbling? I did this exactly the way you have the recipe, using half and half, I even bought one of these tofu presses, weighted with cans etc. It tasted great but it was sort of dry and crumbly. Any suggestions? Usually dry and crumbly is a sign of not pressing it long enough or with sufficient weights. Could that have been the problem? 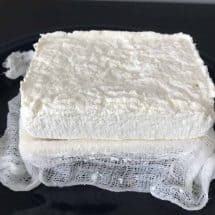 A number of us on an Instant Pot Ultra facebook group (who all LOVE your recipes…and I’m also keto) have tried making paneer using your recipe, and we’ve all had problems with crumbling. And yes, we are weighting the curds, although I haven’t yet bought one of your cool little tofu presses. Could it be something about the milk? I used ultrapasturized half-and-half and whole milk with a cup of cream added. It was tasty but it didn’t form a firm block and cut into cubes. Ah so one thing I learned was that any milk with added carrageenan isn’t doing beth well for paneer. Could that be your issue? 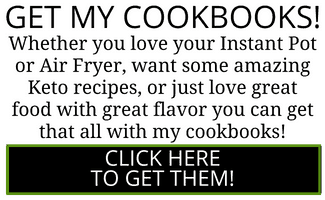 Your recipe looks easy. Planning to try it today. which measuring cup did you use to measure 1/4cups of vinegar? white rice cup or pyrex glass cup or the baking cup scoops? Did you dilute the vinegar while adding it or is it just 1/4 cups of vinegar? This didn’t work well for me. The cheese formed a block but was so crumbly when I used it in your mater pander recipe. There were no cheese chunks left after the saute step. Thoughts? Did you place cans on it to make a firm block? I made this last night to go in the palak paneer. It still has a vague vinegary taste. Is that normal or did I do something wrong? Do you think I could cut it down to 2 tbsp next time? I actually make paneer with yogurt. Whip the yogurt with a spoon so it’s smooth. No instant pot yet, so I do this on the stovetop. I keep adding yogurt incrementally as the milk is simmering, and stop when I see the solids and clear whey separating (this is why I don’t have an exact proportion of milk/yogurt to share here, sorry! Perhaps you can experiment and come up with a proper recipe :-). This way it’s an all dairy product, no “foreign” substances like vinegar/lemon juice. The taste is much better. The whey is also tasty and can be consumed – it is considered very nutritious (traditional knowledge handed down from mom, so I don’t know the nutritional breakdown). Also if you make paneer on a regular basis, you can store the whey and use that to split the milk the next time. I heard that Bengalis who are big consumers of paneer use this method. But this is hearsay, I didn’t hear it directly from a Bengali :-). Can I make this with a qt of milk? I would like to do a test run. 2l of whol167.80e milk yielded 240g of cheese. Very dence and dry about like goat cheese. I twisted the whey out in a cotton cloth & put a bunch of elastics on it and refegriated for aouple of hours. It sliced nicely with little crumbling. I will try it tonight simered with peas and onion masala. I was super excited to make paneer, since the closest grocery store to me that has it is about 20 miles away. I also was having a hard time getting it to form into a “solid” block. On the second attempt, I squeezed out as much whey by hand before putting it in a rubbermaid container that has a bunch of holes in it, and another container (no holes) with a bunch of weight on it. I saw your reply about too much carrageenan in the milk, so I double checked that the second batch didn’t have any in the milk. I followed the recipe . The paneer tasted good but it is very crumbled. Any hint on making the restaurant style paneer? Yes in order to make it stick together like a cake, you really need to put the cans on it or some heavy weight after you pack it in together. Without that it crumbles. This is brilliant! Will it work to do a larger batch, like a gallon of whole milk, or will it burn do you think? Thank you for the suggestion. When I pulled out my gallon of milk, it had a leak so I ended up dumping the whole thing in the pot. While it didn’t burn, it browned on the bottom, which I am fine with–more flavor. 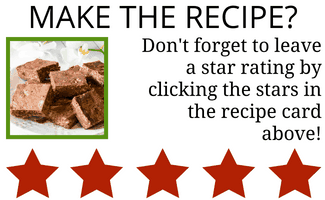 The ease of this recipe saves me a lot of time. Thanks! 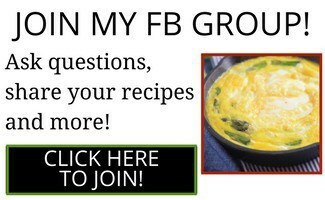 Hi Urvashi, thanks for recipe. Can we add some herbs while making paneer? when can we add it? I would welcome your advice. I tried to make paneer this way, but all I got was slightly thickened acidic half&half. In the past I’ve used a recipe from J. Sahni, which offered lemon juice as an optional acid, and so I used lemon juice instead of vinegar. Do you think the failure to thicken is because I used too little acid? I can use vinegar next time and report back. If it works, then the next time after that I can use more lemon juice. Thank you! No carageenan here, so acid most likely. I made some the classic way (had to watch the pot as you say), and I’ll try again next time. HI Urvashi – can i use whole milk instead of half n half? Yes you can. The paneer is just a little less Creamy but still delicious.